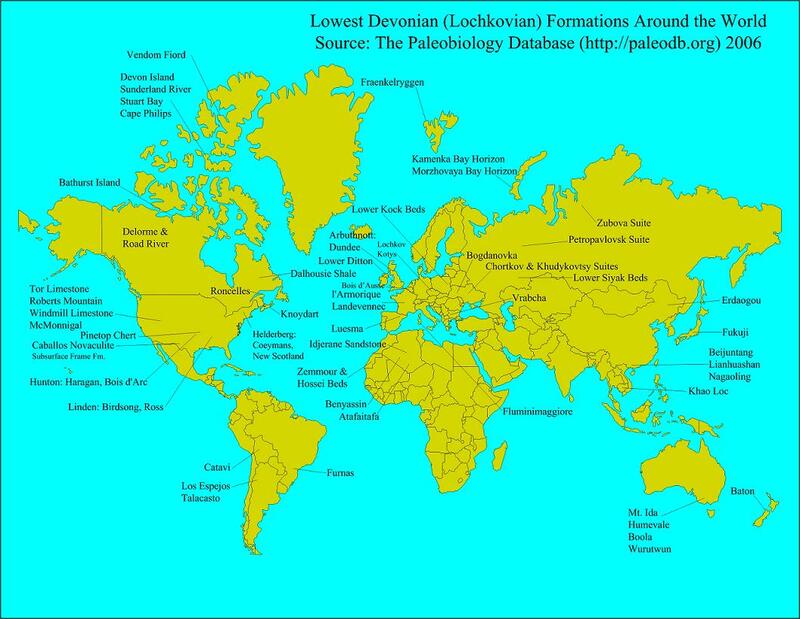 During my research for Trilobites of Black Cat Mountain, reports of many lowest Devonian exposures around the world were uncovered. Based on these I compiled this map. It is generally known that Lower Devonian formations in western Tennessee (Birdsong, Ross) are closely related to the Haragan and Bois d'Arc formations at Black Cat Mountain. 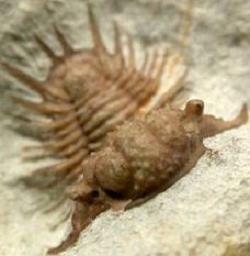 However, the other exposures recorded here were deposited about the same time, and many may contain similar trilobites. Huntoniatonia huntonensis (photograph courtesy of Steve Marley).